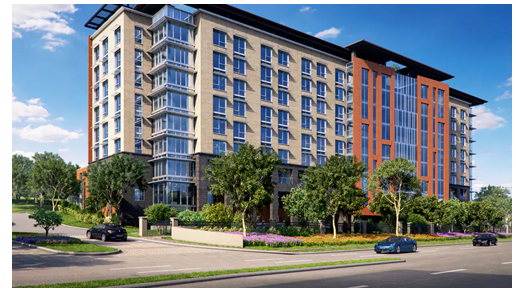 ​​ DALLAS - C. C. Young—a long time Northeast Dallas senior community—is adding a ten-story residential tower. C. C. Young will build the $84 million building at its 20-acre campus on East Mockingbird Lane at Lawther Dr. The 325,000-sf project will include 221 residential units for assisted living and memory care residents as well as skilled nursing and rehabilitation patients. The tower which overlooks White Rock Lake is set to open in mid-2018.